The solar panel on the watch needs light to get charged. Products like CoolFire Watch Charger helps but before we get into the question, how to charge a solar watch without sun, it is important that you understand the basic concept of light. These concepts are important, as they will help you get a grasp of how quick different sources can help in charging a solar watch. My love with solar watches began after this beautiful masterpiece G Shock Rangeman. It is going fine for quite some time. I see it as one of the finest pieces designed by them. This is a term related to light. Lux or illuminance, is the measure of luminous flux per unit area. Luminous Flux is the total amount of light present in an area. This implies that LUX is the intensity of total amount of visible light on per unit area. Your solar watch needs an appropriate amount of Lux to get charged. If lux is low then the watch will charge but will charge very slowly. If the intensity of light on the watch is very high then the watch will charge but it may also melt. Therefore, before choosing a light source alternate of the sun. It is important that you get it right. No one wants to fry an expensive piece just for the sake of maximum charging. CAN I GET MORE IDEA ABOUT INTENSITY OF LIGHT OR LUX? Why not, let’s get into some real-life example and do some comparison. On a bright sunny day when you step out of your home and mark a one-meter square area on the floor. This one square meter box is getting hit by light with an intensity of 50,000 lux. Now get inside, make a similar box on the window, assuming you have a big window ledge or a floor which is directly adjacent to the low window. This box is getting a 10,000 lux. The same box on a cloudy day inside the home near window ledge will be of approximately 5000 lux. If you buy an artificial light source, such as fluorescent lamp, it will provide 500 lux to a one square meter box. This is the difference between light sources. The higher the lux is faster you can get your watch charged. Lower the lux and your watch will take more than a week with continuous placement under a fluorescent lamp. But more lux also means more heat. So you have to be very careful regarding the choice of light as the heat part is also associated with it. HOW FAST CAN SUN CHARGE IN COMPARISON WITH ARTIFICIAL SOURCES? The impact of lux on how to charge a solar watch without sun is pretty clear. Although, it may vary from brands and within models of same brands. The time taken by an average solar watch to get charged FULL can be around 30 hours with exposure to direct sunlight outdoors. If sun, which is a source of the 50k lumen is taking this much time than an artificial source providing only 500 lux will take around 5.5 days just to get charged with medium reserve. In order, to get charged to the high level it may take another 10 days. From high to get fully charged, the watch may require an additional 3 days. So in total, an artificial light source can fully charge your watch with uninterrupted lux supply within 19 days. Does not seem practical, so it is better to find a place where sunlight is in abundance. But do not worry we are going to tell you how to charge the watch relatively quicker and how you can increase the Lux in artificial light at your home. HOW TO CHARGE WATCH FASTER WITHOUT SUN? As a general rule of thumb, light sources which have higher watts power consumption is an indication that it will give more LUX than a light source with half a watt power requirement. In comparison with a 15 watt LED light giving 1500 Lumens a 36 watt T8 Fluorescent can give 2800 lux. If you want to get closer to 50,000 sun lux then you may consider Metal Halide 400 watt power source giving 36000 lux. But do keep in mind that there are loads of brands out there, who have high wattage but their lux is lower or equal to that of lower watt consuming light source. You can buy a good light source from a reputable brand, make a lamp, set it at a significant distance from the watch it will charge your watch. But do remember that high-intensity lights will end up damaging your watch rather than charging it. HOW TO CHARGE A SOLAR WATCH WITHOUT SUN SAFELY? Maintain a proper distance between the power source and watch. 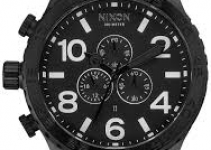 If you keep the distance very low in a bid to charge the watch quickly, heat can damage the polarizing film of the watch and may result in permanent damage. Similarly, focusing a small light source through a lens on to the watch’s solar panel can bring even worse results quicker. Make sure that you are not using metal halide to charge the watch. A UV lamp or a smaller LED bulb with lower intensity can help charge the watch relatively more safely but the cost will be time higher time consumption. Wait light can be soft too? Yes! A light source which produces less heat and more light is a soft light source. Please note that heat is a watch killer. The inside of the watch is made up of delicate parts and strong light is always accompanied by heat which can pretty much heat up the parts inside. Your watch will use the light part to get charged up but what about the heat? The inside of the watch will transmit heat. Materials inside have a very low rating for heat. The sudden rise in temperature can either melt or expand the parts. The expanded parts will not be able to retain their original shapes, as a result, the watch will malfunction. For instance, you may see the display but it will be a very faint. This may sound insane but people have even tried to charge their solar cells via flame. They simply keep the watch or calculators at distance from range flame. This can result in permanent damage. Its the light which charges not the heat. If you still want to do quick charging and want to nullify the heating then there is a sneaky way out. Place watch in a transparent box. Place box in a cold water container. Now place the box under the charging light. Water will act as a sink for the heat. Since watch needs light to get charged, there would be the efficient conversion of light into charge storage. While heat will be disposed of into the water. This will save the inner equipment from heating up. You can also place it in a water bowl without shield provided that you have a good water resistant watch from a reputable brand like Casio G Shock Series Tactical Watches. Just place the watch somewhere on a shelf in your home. It will slowly absorb light from the outdoor and also what’s inside of home from tubes, lamps, bulbs etc. This will take pretty long but you can have a watch doing some of the functions. This solution requires some basic knowledge about electricity. Read the manual. What cell is used in the solar watch? Usually, manuals have information regarding that. If there is no information in the manual then you have to go and search on the internet. The last thing you can do is, open up the watch and extract the battery by yourself. Considering that now you know what battery is used on the watch. Google the current requirement for the battery. It will be less than 5 milliamperes. Now get a power source around 12 volts. Calculate the amount of resistor is required to convert the volt in the required electric current. Voltage = Current x Resistance. You know the current and voltage of this equation. Simply place in the values and calculate the resistance. Just make sure that you put in the right value of current. 2 milliamps mean 2 x 10 power -3. You can easily purchase the resister to the nearest value given by the equation. Make up the right circuit, connecting positive to positive and negative to negative terminal with resistance in between the circuit. Charge the battery for around 10-12 hours. You are done! You have a fully charged battery now. Watches can be charged but how to charge a solar watch without sun is riskier than a simple walk in the park where the sun is still shining behind the clouds. Therefore, if you are planning to use the artificial source then make sure that you are doing the proper precautions. A friendly advice is to charge your watch without sun only if you are a vampire or you want to do a fun experiment. Charging an expensive watch without sun may not be the wisest decision. Just put on some other watch and use the solar one in the summer. Depending on the watch brand, your watch is relatively vulnerable to the light. Solar watches need light to get charged, if heat becomes more powerful than the minimum threshold, the light will be of no use. The inner parts of the watch will burn out leaving fainted or even blank display. Therefore, consider placing your watch near a window sill can be the perfect solution. It may take more time but after a dozen days, it will be charged enough to last for an enough 3-4 months. Thanks, George. Brilliant Addition to the list. I will try to add it in the above list somewhere.